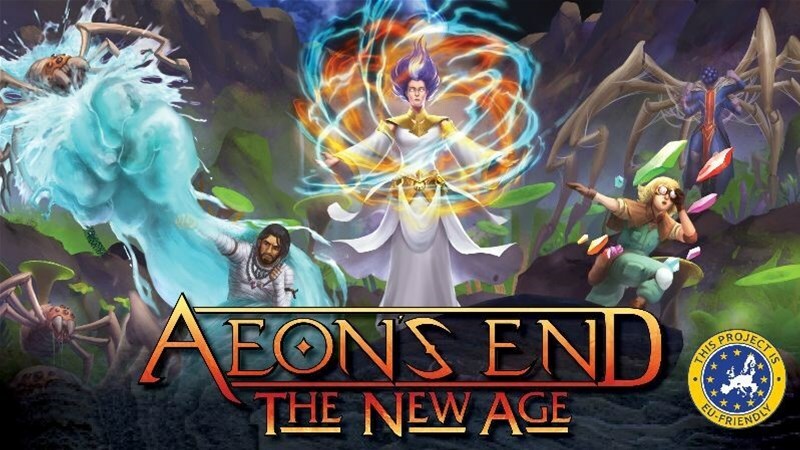 Indie Boards and Cards has launched a Kickstarter campaign for Aeon's End: The New Age. It's a new expansion to their Aeon's End cooperative deckbuilder card game, and offers all new content in the form of the Expedition Mode. There's all sorts of new cards as well, all of it fully compatible with previous sets from the game. Last year Indie Boards and Cards Cards & Action Phase Games released the exciting standalone co-op deckbuilder Aeon’s End: Legacy. This year we are excited to expand the Aeon’s End universe with Aeon’s End: The New Age. This expansion introduces an infinitely replayable Expedition Mode which builds on the existing Aeon’s End lore. It also includes all new mages, nemeses, as well as gems, relics, and spells that are compatible with all existing content. The Kickstarter is already more than 4x its funding goal with still 29 days to go.